Crystal blue water, striped umbrellas, and interesting rock formations are the hallmarks of the region in Italy known as the "Cinque Terre." 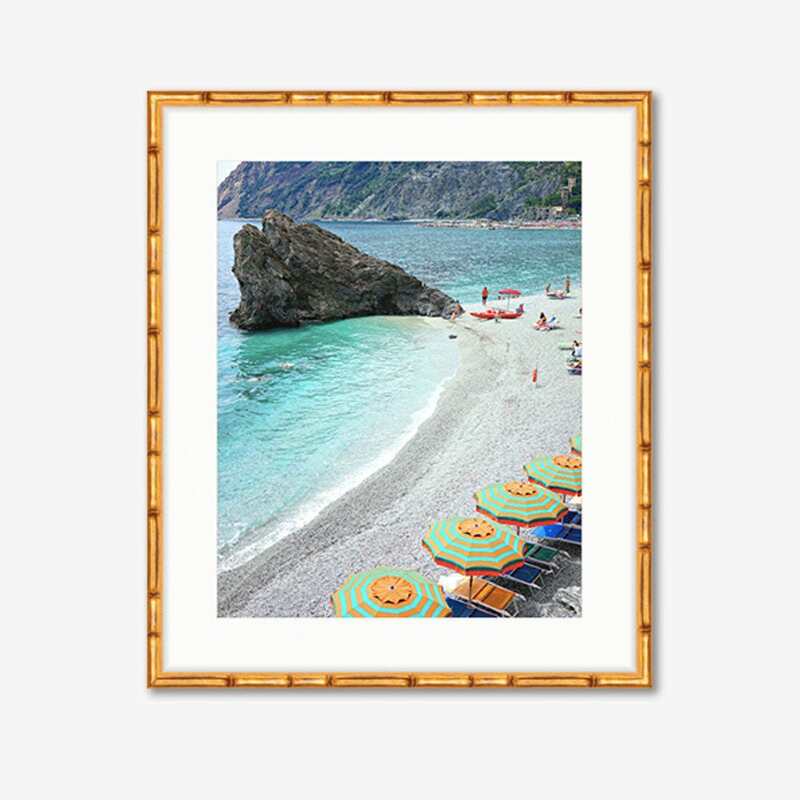 Now you can add some color and character to your decor with this beach print featuring the stunning and iconic coastline of Monterosso, the fifth and largest town of the region. This is an original photo taken by the seller and printed on archival quality, acid free, and heavy weight matte photo paper.